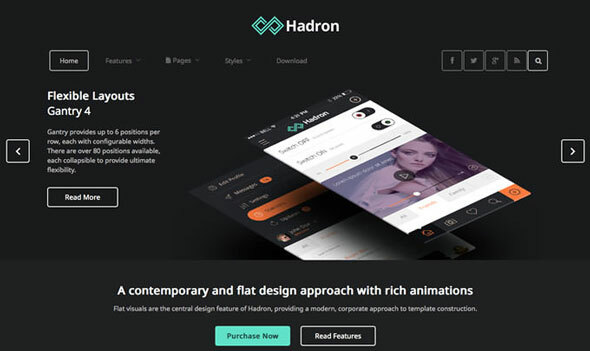 Hadron is a rich, dynamic theme that puts your site's content at the forefront of user experience. 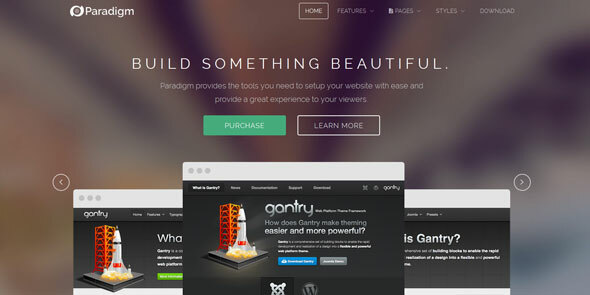 Paradigm is a rich infusion of elegant, transparent visuals with a modern frame, to create a subtle, invigorating site. Spectral echoes contemporary approaches to create an elegant frame, focusing on content without compromising on visual excellence. Acacia is a beautifully designed professional template, presenting exquisite HTML5 canvas charts, alongside the highly configurable. Stratos is a visually interactive design, with CSS transformations to allow template elements to pop in a three-dimensional manner. 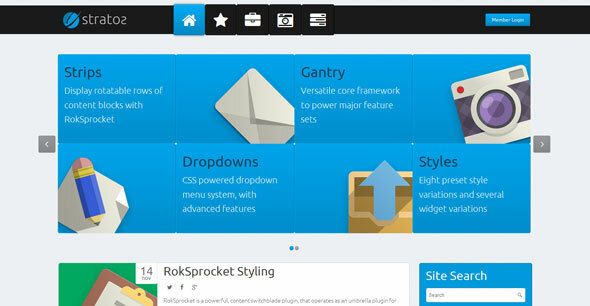 The appearance is enriched through brilliant icons and colored backgrounds. 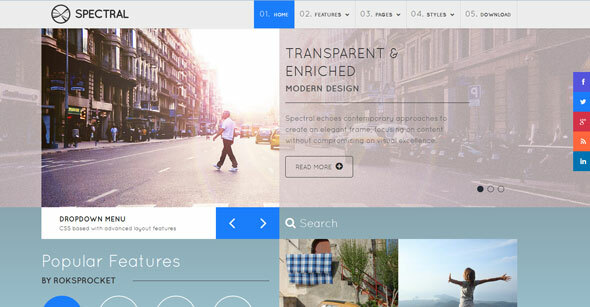 Corvus is a content centric template, built with rich media and text blocks, on a foundation of detailed design elements. 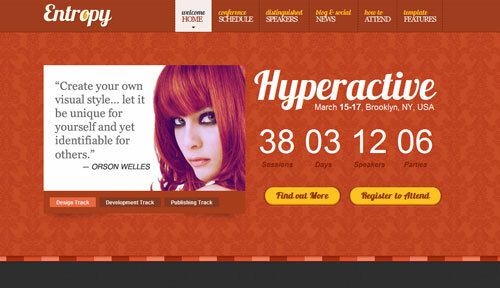 The template spruces up your site with easily configurable items. 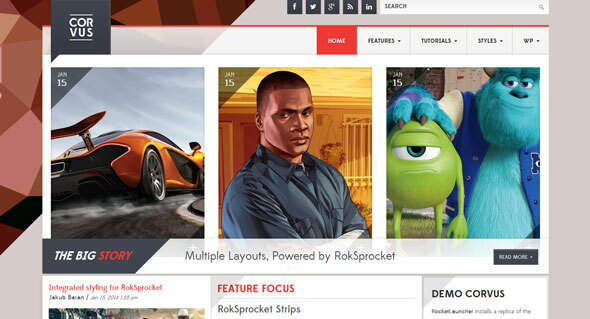 Praxis is an elegant nexus of content enriching visual elements and powerful, underlying interactive and configurable features, to maximize the versatility and engagement of your site. 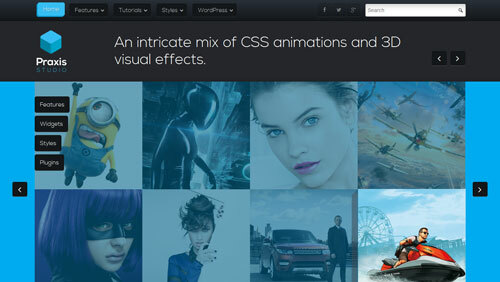 The design is an intricate mix of CSS animations and 3D visual effects. Entropy is a truly artistic piece, segregating its layout into distinctly designed panes, that are independently styled and configurable. 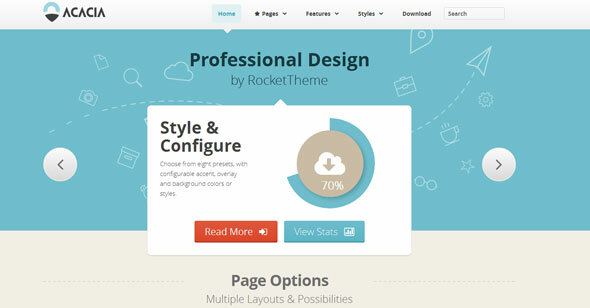 Modulus features ease of stylistic choice at its core, with the Color Chooser —an intuitive interface inside the theme settings page— that facilitates the swift customization of the theme style, with an auto contrasting function for content text. 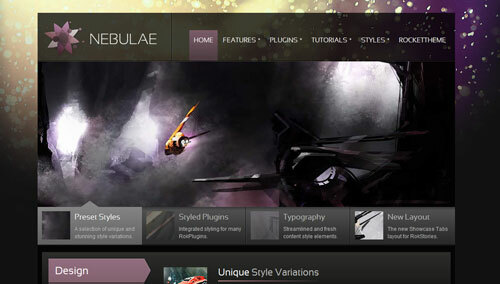 Nebulae combines visual sophistication with functionality and power. 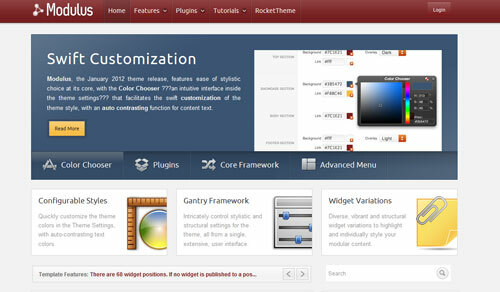 The theme offers a range of unique and stunning style variations, with distinct colour schemes complimenting their detailed and beautiful background counterparts.